The sun finally came out, so I went hiking in nearby San Timoteo Canyon, binoculars and camera around my neck. 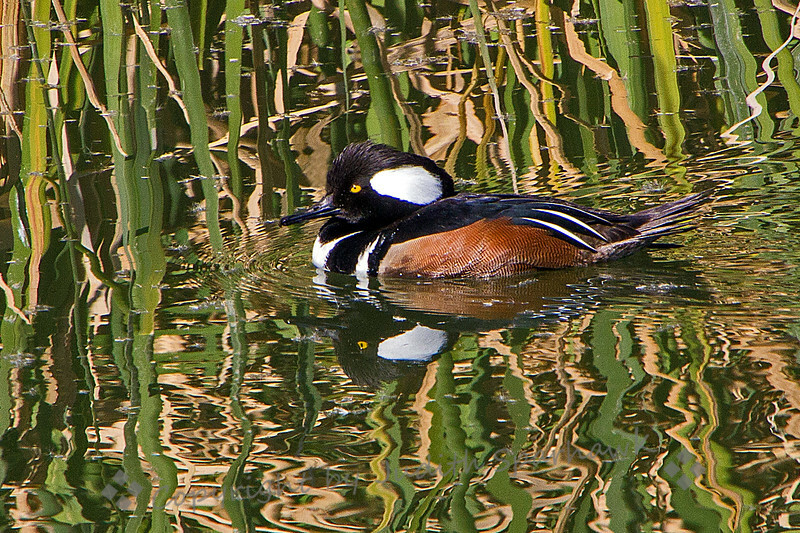 Although it wasn't a spectacular birding day, I did get a few shots of this male Hooded Merganser which was swimming in the pond at the west end of the trail. He was a little skittish, spending more time hidden in the cattails than out with the other ducks.